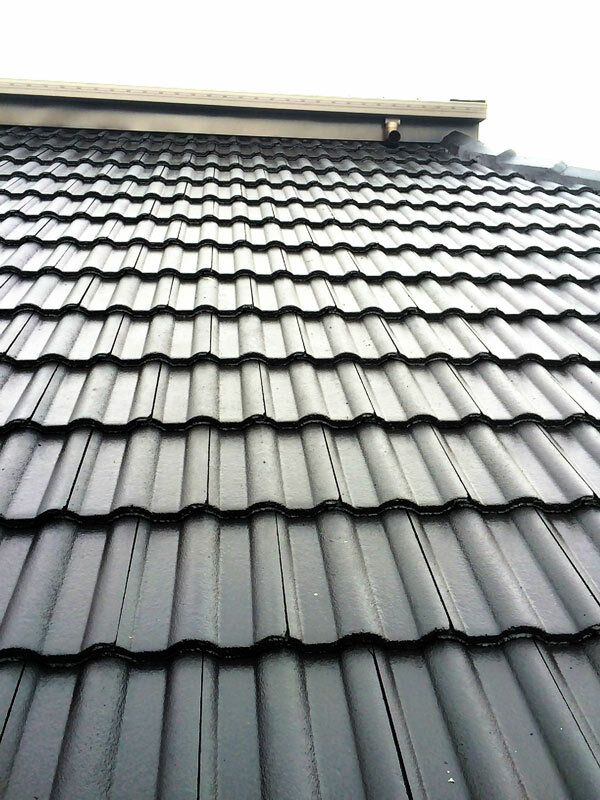 Carters roofing specialises in roof restoration Melbourne. If your roof is looking tired, worn out or unattractive this may leave potential buyers with the impression that your house is not in good condition and may negatively affect your potential sales price. A roof restoration changes the look of your roof so that it looks like new, giving it a cared for appearance. It may add to the overall value of your home by increasing its curb appeal. Please see our projects page. Step one: Inspect the roof and replace broken tiles or rusty valleys. Step two: Remove lose or old repointing/rebedding cement. Ridges are reset as necessary. Step three: Pressure clean your roof and flush all guttering. Step four: Repoint all ridge capping and reseal flashings and anchor points. Step five: A coat of Maxi Primer or High Build sealer and two coats of Tile Guard is applied to the roof using Regent paints. Carters roofing has over 30 years experience in roof restoration in Melbourne. We pride ourselves on our high quality workmanship and high quality materials. We not only restore your roof but we will inspect your roof, replace tiles as needed and offer professional advice as needed. We are happy to explain what we do, we arrive on time, and leave you with a rejuvenated roof and no mess.